Ah fall, the start of football season! Throughout the country, teams are gearing up for the coming schedule. Everyone is undefeated and hoping to claim the championship. They are developing their skills, practicing their plays, building teamwork, and setting about their plan to win. How All-American! Fall is also the busiest time on the Strategic Planning circuit. 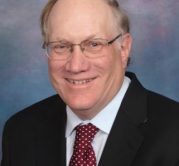 Credit unions are setting up their annual planning meetings, bringing in consultants and speakers to help motivate them towards continued success. But are we having fun? When approaching a planning agenda, I’m sometimes disappointed in the strict schedule and lack of fun. Really folks, if you can’t have fun at work, you should choose another profession. Let’s take an unusual look at the strategy meeting and compare it to a football game. In this illustration, we see a common term: The Red Zone! In football, the Red Zone consists of the last 20 yards before the goal line. The question I ask you and many credit union leadership teams is, are you trying to score, or defending your turf? Take the planning session SWOT analysis, for example. What does it tell us? First SWOT stands for Strengths, Weaknesses, Opportunities, and Threats. The drill goes that an organization should take an inventory of their current operations and competitive environment and determine where it stands in each of the categories. But let’s look at this a different way. Strengths and Opportunities are offensive (in the sense of a scoring offense) characteristics. They are aggressive, using strength to overpower the opposition and always looking for opportunities to do so. Weaknesses and Threats are defensive in nature, attempting to protect against myriad threats that are stacking up all around. I ask you then to look at your SWOT analysis. 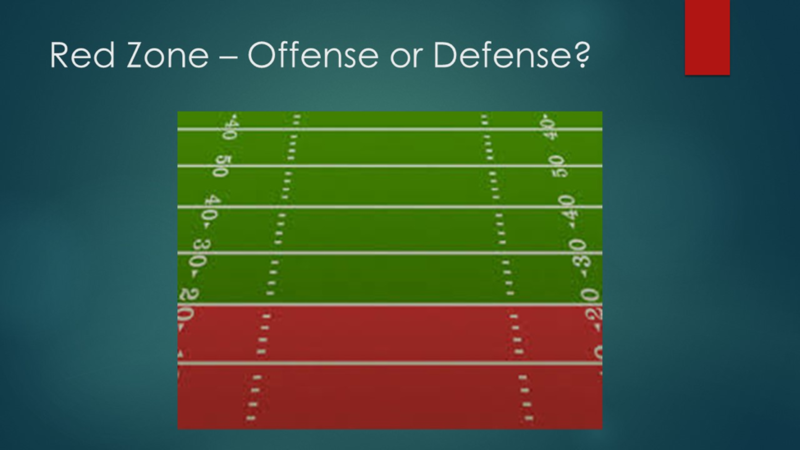 Do these categories tell you to play offense or defense? If you’re on offense, your plan should look at the opportunities you have (or can develop) and exploit them. You clearly have an advantage – look to score as soon as possible. Maybe that means a unique new product, a new branch, exceptional brand recognition, or anything else that makes you stand out. If you’re on defense, you have serious weaknesses or threats. Can you overcome these disadvantages, or are you about to get run over? If that is the case, can you shore up the problem areas before you lose the game? Or, sadly, is it time to throw in the towel? This view of the planning process is easy to relate to. Most of us are familiar with the Red Zone, but sometimes we don’t know which team we are on. How does this help us set our priorities? Almost every credit union has a list of projects that must be accomplished. The to-do list is long, and everything seems important. But let’s look at the playbook. Sort out your list into categories: offense and defense. Building a new branch can be an offensive strategy. Maybe there’s a need for service in an area that is not being met by anyone else. The field is open, and you should take advantage. On the other hand, maybe the new branch replaces one that’s gotten too small or needs repair – a defensive strategy. Update your computer system – why? For new functionality that meets a need, or to throw out the outdated system that is holding you back? Hire a new compliance officer – usually a defensive move. But it can be an opportunity. Many credit unions face uncertainty over ADA website compliance. Moan and groan and get defensive, or be proactive, reach out to the blind community, and show that your credit union is ready and willing to be inclusive. It’s all in how you approach the problem. Finally, change the name – wow, this is loaded with history. “But we’ve always served teachers. What will they think?” say all the teachers on the Board. Is your name holding you back, or is it helping you? Name changes are very expensive and can be disastrous. Knowing why (offense or defense), will help communicate the message. 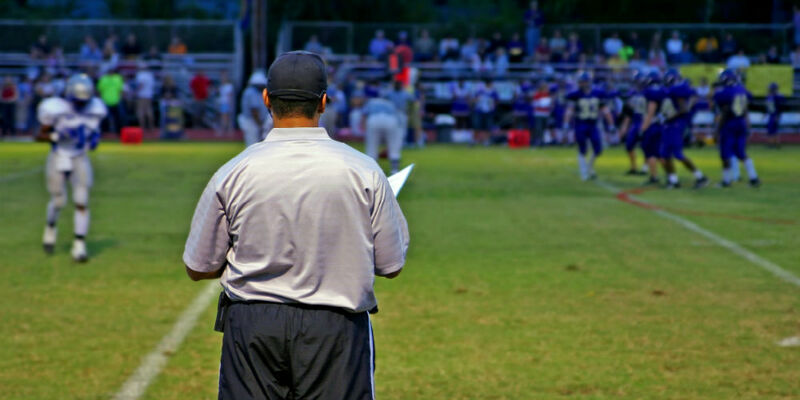 Get out the playbook, and make sure to prepare for the season. Know the goal and align your plays for success!